Of course you can! And we have so many beautiful Cheeky’s who already have glass-looking skin! A Cheeky on our Instagram page referenced ‘Glass Skin’ and we couldn’t be happier that he reminded us of it! 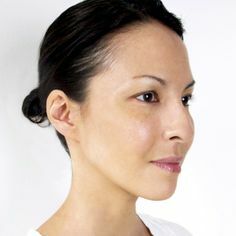 Glass skin has been a buzz word for some time but it’s actually a phrase made popular by makeup artist Ellie Choi whose now-viral skin care routine—and accompanying selfie showcasing her impeccably smooth, translucent skin makes her THE face of glass skin. Glass skin is a way to basically explain enviable, clear, glowing skin! It’s that simple! 😉 When it looks like this way, it should have a glass-like effect. Achieving this coveted dream-like, dewey skin requires a consistent skin care routine consisting of a cleanser, toner, serum, exfoliator, a hydrating moisturizer, a luxurious eye cream and a hydrating skin mask to seal in the goodness. #CheekyConfidential Consider watery products with humectants like hyaluronic acid (HA) and glycerin and consider using either multiple layers of one hydrating product or several layers of different ones. K-beauty staples like toners, essences and sheet masks are the most effective hydrators! LAYERING is key! Read our blog to learn more about K-Beauty! Asian skin care introduced us to double cleansing. Properly cleansed skin is the Korean beauty way! Start with a cleansing oil or micellar water for your first cleanse, then follow with a gentle foam wash or cream cleanser. Read our blog to learn more about double cleansing! Exfoliating is key when it comes to clear, flawless skin! Don’t overdo it, though. Two to three times weekly is ideal to avoid irritations, especially if you have sensitive skin. K-beauty toners are made with refreshing and moisture-enhancing ingredients and are used to not only to restore the skin’s pH but also to provide base hydration and allow better absorption of oncoming products. Essences tend to be more lightweight and watery in consistency (a cross between serums and toners). Essences are targeted to address pigmentation & redness, but they also deliver a ton of hydration. A toner is used as the final step after cleansing. The main function of a toner is to balance the pH level of the skin after cleansing and to remove the last traces of dirt and residue that your cleanser didn’t spot. Essentially an essence’s job is to prepare the skin for the next step in your routine and help aid in the cell renewal process. 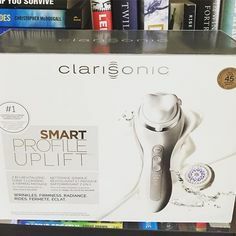 They basically allow your skin to be more receptive to other topical skin treatments applied over your face afterwards. These liquid formulas are highly concentrated, with antioxidants, vitamins, hyaluronic acid and natural ingredients working together to create the perfect skin-rejuvenating cocktail. 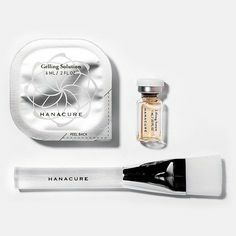 The Korean counterpart of serums, ampoules contain a higher concentration of active ingredients. Moisturizing is a no-brainer when it comes to K-beauty. By now you’re seeing that layering hydrating products is where it’s at! Find a product that gives a ton of moisture without being too heavy or greasy. Though I think eye creams are hit or miss (I find peptide containing products work really well, like Elemis’ Peptide Night Recovery Cream Oil which isn’t an eye cream but it’s ultra hydrating), eye creams are a must in the K-beauty routine. Try to find products that have more hydration than your moisturizers, even if they aren’t labeled eye creams. We do trust our eye cream product recommendation below if you’re looking to try a new eye cream. I honestly think some of the best masks out there are K-beauty sheet masks! Sheet masks are an amazing way to seal in all that moisture and get that glowing skin we crave. Ms. Choi uses this one! Ms. Choi uses this one! 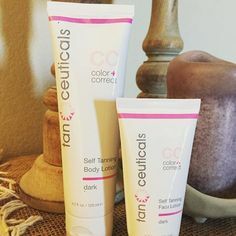 Mostly helpful for combination to oily skin types. ^We love our Estee Lauder Advanced Night Repair serum too! They really are SUPER similar in consistency and repair abilities. Images and some content provided by their respective brands. 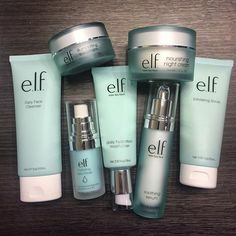 Tags: Ellie Choi glass skin Glass skin k-beauty Glass skin Korean beauty How to achieve glass skin? What is glass skin? Previous PostWhat’s the Sitch on Botanical Skincare Products?